You could see Philippe Handford's weird tree sculptures as somber reflections on life and the natural world and blah blah blah trees are alive, man. That's fair, but really, this art is kind of funny too. 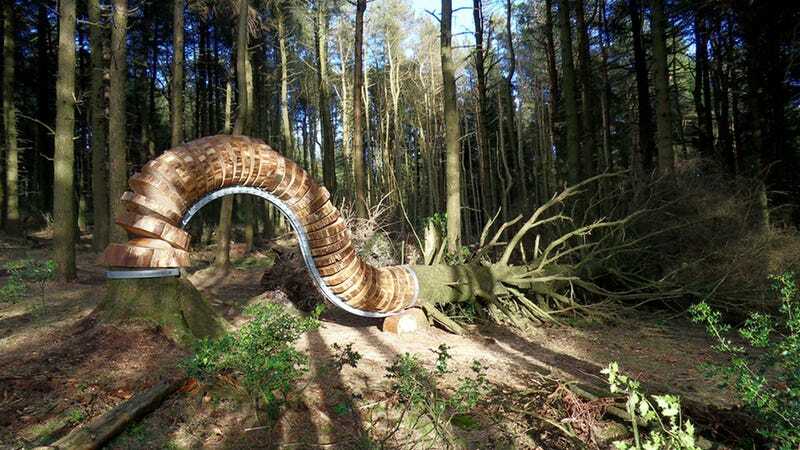 Imagine walking down a trail in northern England and stumbling upon this tree. I kind of want to talk to it: "What are you doing tree? Taking a nap? Stand up straight! Oh, you're dead." Or it was dead, until Handford brought it back to life, using steel brackets to freeze the sliced up trunk in the air.